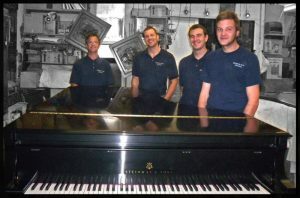 Over 40 years of furniture repair experience. 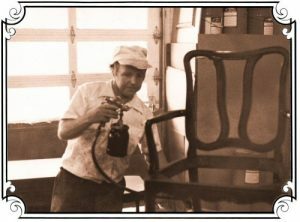 Dave Gedminas’s career in furniture refinishing began in 1973 in the studio of Edgar Wunnicke, a craftsman who had immigrated from Germany. It was here that Dave honed his skills in furniture restoration and developed a deep appreciation of “old world” craftsmanship. In 1978, he continued his studies with Jose DeLeon of DeLeon Interiors. 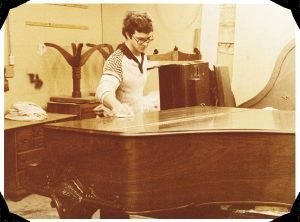 A year later, Dave started his own restoration business, Gedminas and Sons Furniture. He has developed an excellent reputation with individuals, insurance companies and disaster cleaning companies within the Kansas City metropolitan area. He is proud to have continued the tradition of quality, “old world” craftsmanship. Today Dave continues the tradition of quality craftsmanship and is passing his knowledge and standard of excellence to his sons. They all take great pride in painstakingly restoring damaged or deteriorated pieces of furniture to their original beauty.